Expert creative music supervision for film, TV and all media. We strike the right chord for your picture! Music 4 Movies partners Ann Marie Shields and Jon Stewart are Music Supervisors for film, TV and all media. Between them they have vast experience in all areas of music and the music business, from song-writing and musicianship, to artist and producer management, record label and tour management as well as teaching and music licensing. Through this vast experience and knowledge they have an in depth understanding of music as well as a wide network of contacts and keen negotiation skills, making it possible for them to compile and license the best possible soundtrack for your movie, advert or TV show. 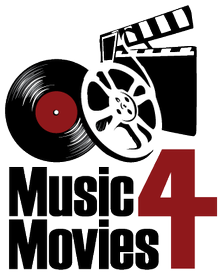 Music 4 Movies can also assist with musical direction for performances by actors and provide synchronisation licence and master use licence documents whenever a licensor does not have their own. Ann Marie and Jon can work together or individually depending on the project, but in any case will always assist each other whenever necessary. "An incredible soundtrack which really adds to the movie"
"A good soundtrack to accompany the time period from the 80s to the 90s"
"A brilliant biopic packed with bravura performances and the music that made Britain great." "Backed up by a killer soundtrack"